Another three weeks have flown by and it’s time for an update on the SAL I’m taking part in. This time, the newbie is Miss Green on the left. I’ve also done as much back stitch as possible on the two dolls to the far left. I usually prefer to leave all the back stitch until last but I’m pleased I decided to do it as I go this time. It isn’t much fun backstitching in black thread around black crosses. I didn’t actually enjoy this stage as I was finding it hard to concentrate on the kimono. I miscounted and unpicked several times which is no fun on even weave fabric. Anyway, I can hopefully put the errors behind me. I must focus better from now on! There are only two dolls left to stitch, so probably a total of three more updates. 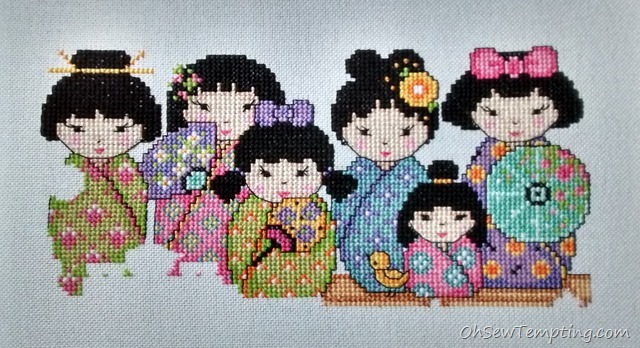 The design is called Kokeshi Friends by Joan Elliott. Claire is sewing the same design as me and the other ladies are all doing different projects. Please click on the links below to visit their blogs and see what they are all up to. Our next update will be on 20th March. See you then! Back Stitching. Ahggggg! 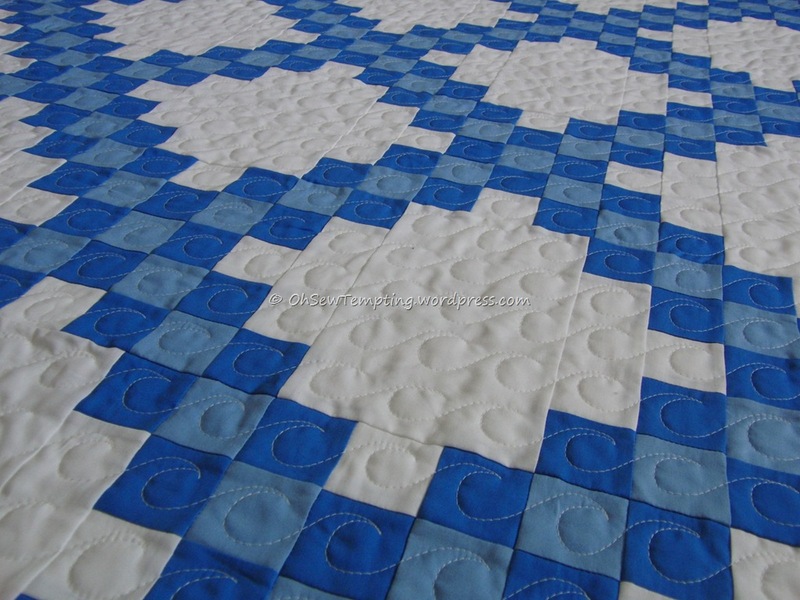 I think you are spot on back stitching as you go. Me too. I don’t mind so much on aida fabric. They are even more cute now. The backstitching are giving them life!! I’m glad you’ve backstitched because it brings the little ladies into focus so much more – and besides, it gets the boring bit done as you go instead of leaving it all to the end. Looking great! I don’t know why we all dread backstitching so.much! I’m fine with it on aida. Me and evenweave don’t get along too well. They are so cute! Coming along quickly now. I need to think about how to finish now. Maybe a cushion. This is looking so lovely, but every time I see it I get a song going round in my head – Three little maids from the Mikado. I don’t do any needlepoint but always so impressed by such intricate handiwork. Very nice.